Crowdsourced delivery is rapidly becoming the go to trend utilized by businesses to expand their outreach and optimize performance. With consumers increasingly concerned with delivery speeds, especially as ecommerce continues to transform the landscape of retail, it becomes necessary that businesses evolve to meet the ever increasing needs of their consumers. The primary of which is fast, efficient and trusted delivery options. Tapping into these global trends is Ahmad Ramahi, Co-founder and CEO of weDeliver. 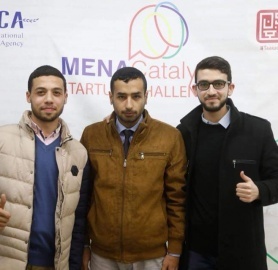 As an avid entrepreneur, Ahmad is always working on developing innovative ways to realize the potential of growing trends dominating the MENA region. 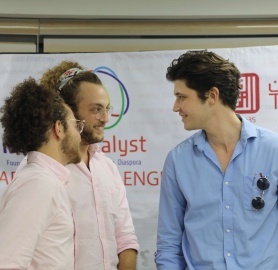 With extensive experience in the startup ecosystem which includes the founding of successful Palestinian based startups including, Digital360, SocialStudio and ConceptsTech, as well as corporate experience working with leading telecom operators and lastly with Careem as Operations Manager, Ahmad has become a prominent entrepreneur in the Palestinian startup scene. Along with CEO and Co-founder Ahmad Ramahi, the weDeliver team consists of Co-founder and CTO, Sami Ghawi who comes from a pure technical background with experience in managing product teams and Artificial Intelligence. The weDeliver team is also made up of an extensive team of drivers delivering packages throughout the country. weDeliver offers a scalable and sustainable alternative for small businesses and e-commerce platforms that need an efficient and affordable method of delivery. 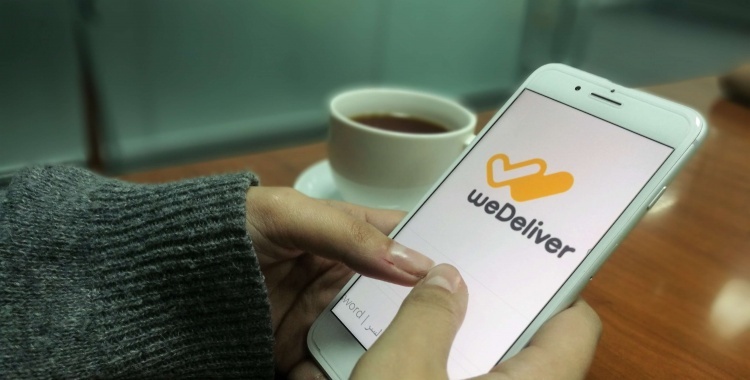 Rather than purchase delivery vehicles and employ drivers, which can be beyond the means of many smaller to medium sized businesses, weDeliver allows these businesses to easily download the dedicated app and simply request a driver to deliver an item or parcel anywhere at any time. In order to increase the utility of the app, weDeliver also offers all parties in the delivery process real-time tracking updates, needed to keep up with the status and location of items. “weDeliver is transforming how door-to-door delivery works, our ultimate goal is to disrupt the logistics industry in the region!” says Ahmad Ramahi, CEO of weDeliver. The appeal of weDeliver, is the use of crowdsourcing to realize the potential of hundreds of drivers. Prior to becoming a part of the weDeliver team, drivers must successfully pass through a background check and training session to then have the opportunity to work anytime, either fulltime, part-time, or just on daily trips. Drivers will not only receive the technical training needed to use the app but the professional training needed to interact with recipients of items. These measures not only enhance operations, but ensures local businesses that weDeliver has their security taken care of. In terms of cargo space, weDeliver, maximizes the utility of unused cargo space in vehicles hitting the road. weDeliver also understands that most business in Palestine prefer cash on delivery, they therefore have implemented an effective solution that allows weDeliver drivers to securely facilitate financial transactions between recipients and businesses. “Business with items they need delivered anywhere can simply connect with a driver through the weDeliver app, and the driver headed in that direction can easily deliver the requested item” explains Ahmad. In order to spread the word, weDeliver opts for a hybrid marketing model, including social media, email marketing and digital campaigns, as well as making direct sales with local businesses. 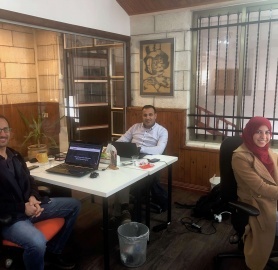 Not only is weDeliver launching in Palestine, in the first quarter (Q1) of this year, they will begin operations in Jordan. 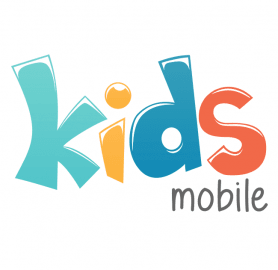 In terms of funding, Ahmad explains “we secured a good investment at very early stage but we are always looking for new investment opportunities to support our expansion plans into new markets and continue adding features to the platform”. weDeliver believes in the potential of strategic partnerships, therefore, in order to successfully expand to different countries throughout the MENA region faster, local partners are their key-step needed to open doors and learn about new markets. Ahmad maintains that within the next five years, he aims to make weDeliver a trusted and reliable delivery solution for all business sizes in countries across the MENA region.